After the recent release of the famous Houdini 5 chess engine, several interfaces were updated with new features and the new engine. Chess Assistant 17, now coming with Houdini 5, is one of the most advanced chess programs to date. 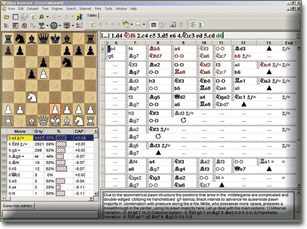 Chess Assistant 17 with Houdini 5 is a unique tool for managing chess games and databases, playing chess online, analyzing games, or playing chess against the computer. The program comes in two packages: Chess Assistant 17 and Chess Assistant 17 PRO, the latter one being a better choice for more dedicated players, as you receive the PRO version of Houdini 5 (which supports up to 128 cores and 128 GB of hash). 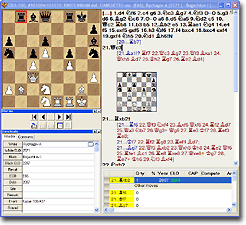 If you need a modern analysis and database management tool, you should definitely consider buying Chess Assistant 17. 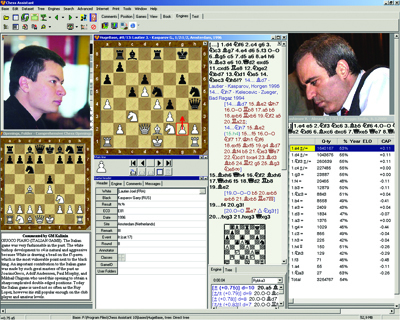 The program is available at ChessOK.com. The rest of the article covers the main features and advantages. 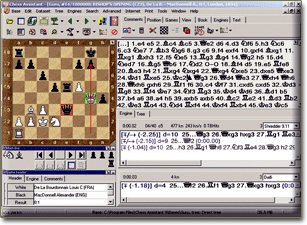 Chess Assistant 17 comes with the Houdini 5 chess engine, one of the world’s strongest engines. No serious chess player can be without Houdini 5! You can connect any version of Houdini 5 UCI engine to ChessOK Aquarium, Fritz and ChessBase. 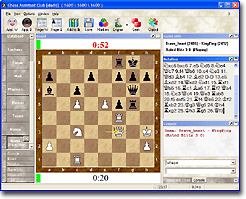 Premium Game Service 2017: subscription for full database updates with games played from November 8, 2016 till December 31, 2017, in Chess Assistant and PGN formats (supported by Fritz, Chess Base and Aquarium).